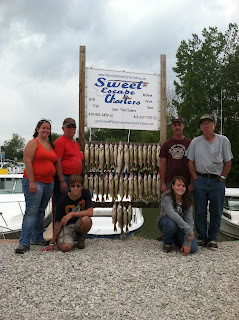 September 2, 2012, Another great day of walleye fishing for late summer. I don't think the walleye action can get any hotter for this time of the season. We caught our limit of 42 walleye just north of b and c-can. The day finished with a bang. Only needed 36 walleye for my customers fish. When I made the official cooler count, it was 35 and within the next five minutes we had 42 in the cooler. Had to recount to make sure we were not over the limit. Wow! What a finish. The perch fishing was not as great as the previous days. Only ended up with 65, but the walleye action made up for the lack of perch action. 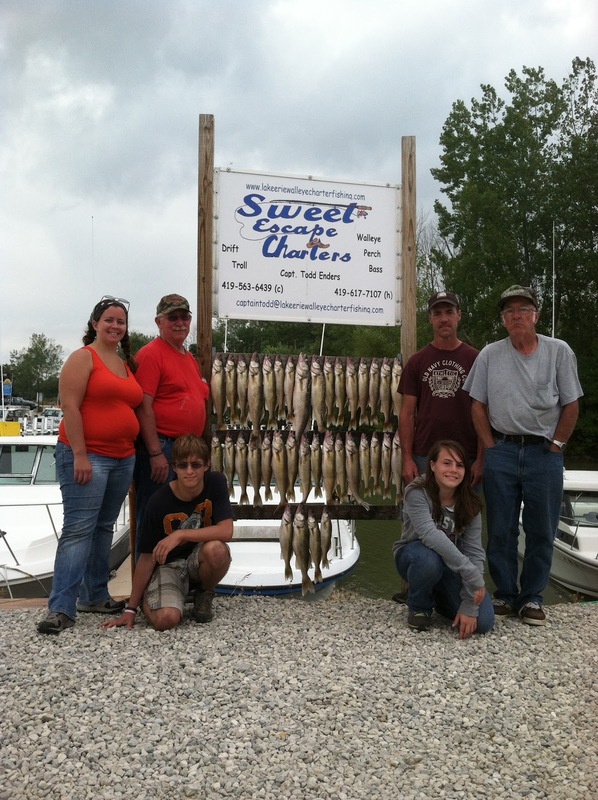 Come check out the great walleye and perch action on Sweet Escape Charters.